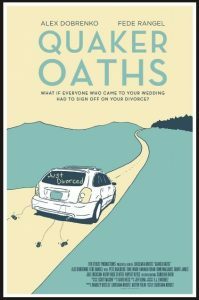 A fun romantic comedy appearing at the Sonoma International Film Festival this year is Quaker Oaths and we had writer/director, Louisiana Kreutz on to tell us all about the film. Have you heard of unicycle football? Either had I before watching this film! Louisiana (or Lucy for short) is an Austin-based director of both documentary and narrative films. For more information on the film, visit the Official Website, and visit them on Facebook. You can also check out the cast and crew on IMDB. For more information on Unicycle Football, click here. Here is the interview followed by a trailer for the film. Original air date: 3/28/17.